Thank you to our viewers, fans, and voters—this was a near record-setting post view for our five authors. Congratulations to all of you. Cindy Thomson, and Sofia’s Tune! Please order print copies here. In Sofia’s Tune, we meet Sofia Falcone, a young woman who has been living in New York only a short time when she is stunned to discover a family secret, one that soon sends her beloved mother into a mental institution. Scrambling to keep her job and care for her mother, Sofia is convinced confronting the past will heal all wounds, but her old world Italian family wants to keep the past in the past. During this time, she encounters Antonio, a Vaudeville pianist with a street-smart dog, seeking to discover why his father was mysteriously killed. Their crossed paths uncover a frightening underworld in Little Italy. Bringing the truth to light may cost Sofia’s mother’s sanity, Antonio’s career, and the livelihoods of countless immigrants. Change is on the horizon, but it may not bring what they expect. Hi! I’m Cindy. Here’s a little about me so you’ll know what kinds of things to expect here. For as long as I can remember I’ve made up stories. When I was a teacher I thought about writing books for children. However, when I finally began writing a novel, I turned to my genealogy research and wrote a fictionalized story of my ancestors. That novel is still unpublished, but my interest in my roots, which go back to Ireland, Scotland, and Wales, sparked an interest in Irish history. My newest historical fiction series was released beginning in 2013 by Tyndale House Publishers. Set at the turn of the 20th century in New York City, the Ellis Island Series follows the lives of new immigrants as they struggle to find their place in America. Along the way they will find friendship, love, and renew their faith in God. Each will focus on an important icon introduced at that time. The first book, GRACE’S PICTURES, will involve the Brownie camera, which opened photography to the masses. The second, ANNIE’S STORIES, will focus on the book, The Wonderful Wizard of Oz, which changed children’s literature. 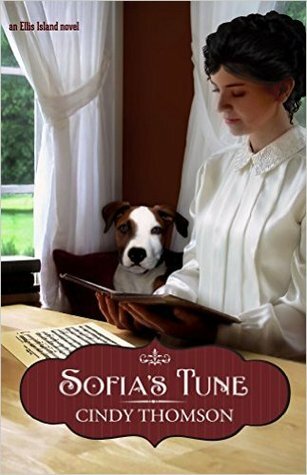 The third book is SOFIA’S TUNE, and features the theme of the advertising icon, His Master’s Voice. Plans for future books include a sequel to my first novel, and more stories set in ancient Ireland. Visit Cindy's website for some great info! 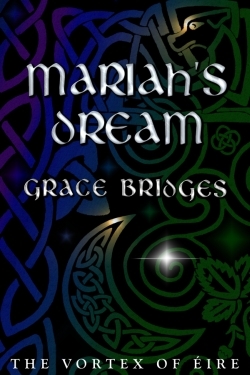 That's right - for this week only, you can still get my latest novel, Mariah's Dream, for just 99c on Kindle. If you need another format, just let me know. Mariah's Prologue #7, "Foe or Forager", is a tale of Peter and Liam before the events of the novel. You won't want to miss it! Coming soon on Kindle, but for now, click here to view for FREE in Issue 5 of the Common Oddities e-zine; you can also check out my space opera poem, "Let There Be Stars". I'd love to hear what you think! 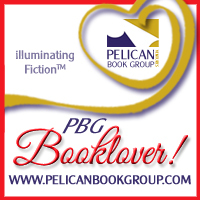 Print holiday romantic reads from Prism Book Group! I've read three of the six so far... but here they are, great holiday quick reads for the busy season. At .99, they're a steal. Lady Nola is a woman of good-standing, but one tragic mistake is set to change her life forever. Rather than be forced to wed a stranger to hide her transgressions, she flees from home. With child, hungry and homeless, Nola wanders the streets of medieval London in search of a Christmas miracle. This short novella in the Love's Christmas Past series is packed full. The story of a maiden in medieval England taken advantage of by a roué and determined not to bring shame on anyone else is a sweet and thoughtful adventure. Nola, daughter of Lord Langley is at a marriageable age, and the nearby newly inherited Sir Guy Beauwater could use a wife. But Nola's secret threatens everything--especially when they meet by chance and fall in love. Worse, Nola's cousin may ruin everything. 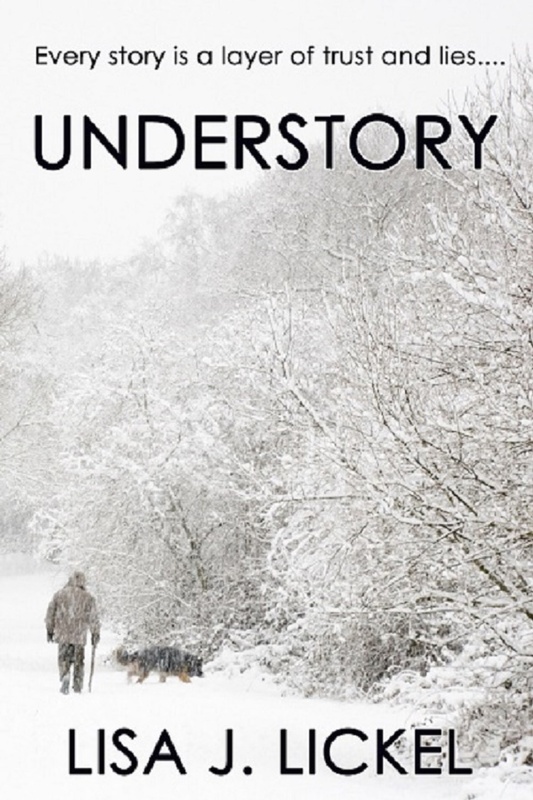 A freak storm, tragedy, and misunderstanding add to mix in this sweet holiday read. Bella is back at her childhood home. When her mother took a fall in the Nuisance Grounds (garbage dump) and broke her leg, Bella came back to help her and run her shop, Izzie's. Soon Bella discovers she's also been handed Izzie's role in the town's Christmas theatre production, a musical version of a well-known mystery that threatens to become more bizarre each day. A serial arsonist is frightening the townspeople, a family feud threatens young romance, and intrigue and rumors are the order of the day. On top of everything, Bella's high school sweetheart Jake, who dumped her for a cheerleader, is now Chief of Police. Poor Bella! Christmas in St. Christopher's is not what it used to be. Bella comes home to her small town of St. Christopher to help her mother Izzie at the shop while Izzie heals from a broken leg. It’s been twelve years and old wounds have festered. But St. Christopher has some secrets—some good, some not-so-good. One of them is the new chief of police—Jake—Bella’s high school honey she thought cheated on her all those years ago. She can’t decide if that’s a good or not-so-good secret. Another is the amount of nostalgia for a sense of home Bella left behind and never really felt anywhere else. Izzie has a few secrets of her own—including a romance and a task for Bella to force her into the public through a local theater production role. A definitely not-so-good secret is there’s an arsonist afoot, and no one knows his or her next target. This is not the St. Christopher Bella left behind. In some ways, it’s better. McGregor’s small town family stories pack a lot into a sweet, easy, quick read that tends to linger with a sense of nostalgia after the last page. Told in a folksy, third person manner from Bella’s point of view, the reader is transported to December in St. Christopher, where the nativity set in the hardware store window reminds Bella and Jake what life is truly all about. A gentle, multi-generational love story with a bit of mystery and lots of fun. For those who enjoy a quick and clean read with forgiveness to go around twice. Local tour guide Noelle Richards loves everything Backwards Christmas has to offer in South Pole, Alaska. She gets wrapped up in the upside down trees, taking presents TO Santa Clause and all the festivities. Sled dog trainer Chris Furst, on the other hand, approaches the holiday with nothing but skepticism. When their history bubbles into the present, their difference of opinion comes to a head. When Chris gets himself into a dangerous situation in the snow, Noelle and the hope of Christ are his only hope for redemption. Where else could Backwards Christmas take place other than South Pole, Alaska? The tiny town banks on its annual backward holiday celebration and tours where groups are sung to by homeowners and mistletoe is more likely to get stepped on, rather than hung. Noelle, a wood carver, loves her home and work, even giving the tours her former boyfriends sneaks into at least every week. His sorrow and anger remained years after a tragic accident and Noelle is helpless to give him back the joy and faith they once shared. A kind busy-body pushes them in the right direction, while a humorous accident and a nearly tragic one send them the rest of the way. Delightful holiday read. The author uses her life story as a hospice social worker to share stories of healing and hope through our brokenness. Each of seven stories center around an episode of self-challenge through visiting with patients, from being burned out to truly looking at yourself, to being brave or finding humor. Each chapter starts with an inspiring quote and ends with a reflection, a meditation, questions for self-discovery, and a prayer. Renew is both a lovely and hard-hitting challenge of a short book. For those who want to know how to take a look around yourself and put your own life in perspective, and then focus outward and explore the possibilities of living in faith. One week will show readers a new path. 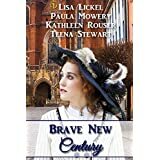 Four young women each brave challenges at the dawn of the 20th century. Will they overcome their hardships and find love? Alice Smith is a thoroughly modern young woman at the brink of the twentieth century. She may be an orphan, but she enjoys the companionship of close friends who all look toward the future. When they begin pairing off, Alice feels lonely. In her job as the Milwaukee Mayor’s secretary, she keeps long hours at City Hall, filing, copying correspondence, and answering the new telephone system, the first without a switchboard. When an intriguing-sounding man makes an accidental call to the mayor’s office, they strike up a companionship. Alice tells herself she doesn’t miss him when his random calls stop and she begins a no-nonsense courtship with a friend. Until he calls again. Henry isn’t interested in working in the family business. He has his own aspirations. And his mother is determined to make sure he weds a woman he doesn’t love. 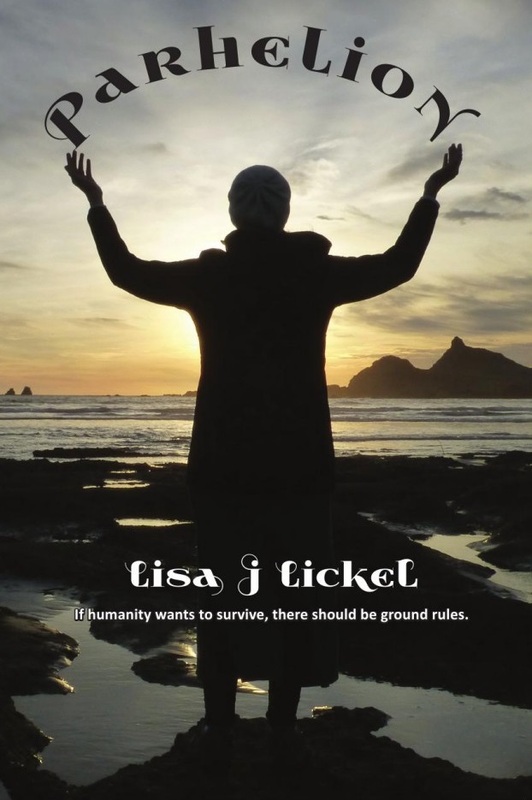 Jessie wants to build a life for herself and her sister that is more than the life her father dealt her when he abandoned them. When Henry and Jessie meet, it seems to be the classic love at first sight until a shocking revelation tears them apart. Isabel Jones, an orphan, receives a ruby ring left by the mother she never knew and wants more than ever to find her roots. When a young physician, Daniel Harper, rescues her from an oncoming automobile and she finds his pocket watch in a puddle, her circumstances take a turn. She begins to consider what life outside the orphanage could be like. Daniel’s heart has been broken before and the attractive young lady who finds his treasured timepiece wouldn’t be deemed suitable by his social climbing parents. When Isabel and Daniel work side by side, caring for the orphanage children during an influenza epidemic, she becomes gravely ill. Compelled to redeem the time by helping her find the past, Daniel finds a buried truth, connected to the ruby ring, which creates an unbridgeable chasm between them. Where will they find hope in a hopeless situation? Young San Francisco police officer Gideon Light is smitten the moment he sees Lily McMinn rolling down the awnings on her father’s mercantile. Lovely, petite, and spunky, Lily had to grow up quickly after her mother passed away. She not only oversees the welfare of two younger siblings, she also helps run her father’s business. Gideon and Lily are immediately attracted to each other and soon become good friends. It doesn’t take long before Lily realizes her feelings for Gideon have changed to something far deeper. He secretly harbors dreams of advancing in the force to earn a substantial enough income to make Lily his wife. Before either has a chance to pursue each other, however, an earthquake of unthinkable magnitude shatters their world. With a raging fire fast in its wake, tragedy and triumph await as Gideon, Lily, and her family flee for their lives with little more than the clothes on their backs. Set during the time of the great 1906 San Francisco earthquake and fire, this tale of great loss, incredible human courage, and sweet romance will inspire and warm your heart. What about Detroit’s history influenced your story, The Pocket Watch? I knew someone who’d grown up in a Catholic orphanage in Detroit many years ago. I wondered if there were similar Protestant ministries in the city at an earlier time and discovered the Protestant Orphan Asylum of Detroit. I had been researching the Crittenton Mission, a home for unwed mothers, for another story, but wondered about what it would be like for a child left in and growing up at an orphanage. How did you use your setting, Kathy? Did you make your story fit facts, or did you use facts you uncovered to create your story and guide your characters? I mostly tried to make my story fit the facts, doing my best to find as much as I could about the streets, the homes, and the stores, some which have names that are familiar even today. Also, I remember my mom talking about riding on the streetcars, a trolley type of transportation, and found that it existed many years before her time. I hoped to create as realistic a backdrop as possible. There had been some flu outbreaks in the city in other years. Though there wasn’t an epidemic reported at that exact time, I felt it was a plausible reason for quarantine conditions at the orphanage. How did you come up with the idea of making the pocket watch a key part of your story? There’s something I’ve always found intriguing and elegant about the use of a pocket watch. The watch, a gift from the Daniel’s father, is something which a doctor would be hard pressed to live without. The lost object is like a treasure to an orphan like Isabel and she wants to return it to the owner. The timepiece, like time itself, becomes integral to bridging Daniel’s past to his future. This also fits with the focus of a new year and indeed, the new century coming. Kathy, what did you enjoy most when writing your tale? That’s a tough one. I enjoyed digging up books containing old photos of Detroit, learning a little more of the history of the city which I grew up so near and where I spent much time. It was nice to see its past vitality and know there’s hope for its future as well. I also enjoyed watching my characters grow and adding humor with the cantankerous poodle, Taffy. It was hard to say “good-bye” to Isabel and Daniel! How did you go about finding historical facts about Knoxville’s history for your story, Forgiven? My mom and I took a little trip to an archive section of the library that is in downtown Knoxville. We had a fun time exploring there. I found directories for exactly what business was at what spot on the city streets. Many of the building numbers and establishment names used in Forgiven were really those listed for that time in the 1900s. Of course, another part of the story, the shoot-out, came from some ancestry probing done by my father. The hero and heroine are based upon my paternal grandparents. Where did your story meld with the setting, Paula, to make Knoxville the unique influence on your characters? Knoxville is the place the hero and heroine "find" each other. My grandparents actually lived in a house near downtown Knoxville. Your story Forgiven is based on a true story. Who were the people in the real life story and how did you learn about the tale? My father had done some ancestry digging and found the newspaper account of a shoot-out between his father and uncles and some business colleagues. My paternal grandfather, Henry, survived the gun battle and went on to marry my grandmother, Jessie Lee. I have never heard the story of how they got together. That's where I took some fiction writer's license. What takeaway would you like readers to get from Forgiven? Forgiveness is something we must learn to extend just as God has so willingly extended it to us. What gave you the idea for making the telephone a part of your story in Three Rings for Alice? 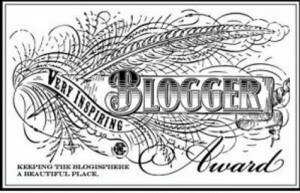 I was researching inventions around the turn of the twentieth century for a blog I used to write for—Favorite Pastimes—and learned more about the telephone and switchboards and how technology was changing. It also happened to be about the time of the 100th anniversary for the Milwaukee City Hall, and when I learned that this building was one of the first to feature direct dialing, I was able to incorporate that aspect into the story. Why did you choose Milwaukee for the location? It’s only thirty miles from where I live—I grew up south of there, and now live north of there. I love the county history museum, which is also nearby the city hall. Teena, what influenced your choice to set your story, Flames of Hope, in San Francisco? We lived in the Bay area of California for a while and I learned about the great earthquake and fire. When I was invited to write a story for the book the stipulation was for it to be a romance set at the turn of the century and in a city, so it was a natural choice for me. When you devised your story, was it more around the facts, or did you have your story in mind before you researched the events of the era, and what choices did you employ to guide your characters? All I knew was that I wanted a romance to take place in San Francisco during the earthquake. I had no story line in mind and no idea of characters. I brainstormed who those characters might be and why they would know each other. I came up with the idea of a shop girl. Who would she know? Locals. Who could be a local she is drawn to and see on a regular basis--a young policeman. I felt that if there was already a spark between them, then putting them in danger would be a catalyst for drawing them closer together and would make for an exciting story. Strange creatures are popping up all over the place on Farmer White's farm! What is a little pig supposed to do? Does she have to be polite? Should she just ignore them? And what if they're scary? How can you tell the difference between dangerous, or just different? That's what Sassy Pants has to learn when she wanders off by herself in places she isn't supposed to. But sometimes she learns the easy way, and sometimes the hard way. Which one will it be this time? And will she learn what's right in time to stay safe? Follow along with Sassy Pants and Friends, as they try to figure things out. Delightful addition to the Sassy Pants middle grade readers. Sassy Pants is a little pig, a runt raised by the farm family and then returned to the pigpen where she has a lot to learn. In this tale, Sassy Pants learns from Old Clyde the horse that a strange new creature has come to Farmer White’s farm. He’s a llama with a big long name, but Sassy Pants calls him Mister One. None of the other animals want to disturb Mister One with his terrible nightmares and strange spitting ways, but Sassy Pants is determined to help the llama. She learns how when another strange creature shows up—an English bulldog and his captain, come for a visit. While none of the other animals want to even get close to the stinky bulldog, Sassy Pants persists and learns a valuable lesson about not just getting along, but helping each other even when we make mistakes. Lovingly crafted illustrations and humor will add to the enjoyment of the these stories told by Sassy Pants herself. 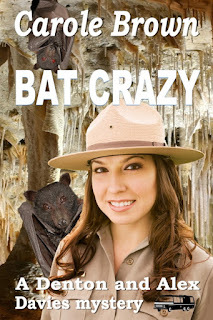 Carole Brown and Bat Crazy! Red-eyed Monster Bats that attack humans? Denton doesn’t think so and Alex hopes not, but who are they to quibble with the local gossip? Transmission problems and a blown tire land Denton and Alex Davies right in the middle of a dilapidated, unfriendly town that’s welcoming no strangers, least of all nosy ones with a bent toward solving mysteries. But with support from the town detective--an admirer of the Davies--and their own tenacious personalities, Denton and Alex aren’t easily scared off. Not when warnings in the form of painted bats show up on the porch of their rented cabin, not when the mayor threatens to run them out of town and not even when Denton finds the bones . . .
An ancient story, a bit of a map, a lost jewel and even a bat clan serve to provide the Davies and their sidekick, Taffy, the dog, their hardest case so far. Carole, tell us what you love about this new book. I love Denton and Alex Davies, their personalities and their small squabbles and real love for each other. Relationships have to be worked at to survive and Denton and Alex, although they strongly disagree on a variety of subjects, work at theirs. Introduce us to a sidekick character. I suppose one that I was drawn to was my detective: Tomas Brody. It was his first real job, an easy one, he thought when he accepted it. He’s young, inexperienced but smart enough to accept help when needed. I loved being able to create him as a sympathetic law officer who admires the Davies and who is not afraid to seek the help he knows they can give. I always enjoy research, so it wasn’t entirely a chore to learn more about bats. Yes, the truth is, I’ve never been a big fan of them. But after studying them, I’ve learned that they are fairly harmless and beneficial to the environment. That boosts their value in my eyes. I also wavered for quite awhile on which bat specie to use. Eventually, I went for a large one from Australia (that is stolen from a local zoo in the book) as an interesting tidbit in the book. On the interviews I’ve done so far, I hoped I’ve convinced several that they have no need to fear from the bats in BAT CRAZY! The third book in this series should release sometime in 2016. It’s called DAFFY’S DUCK and is set in Colorado in the ski country. I’m so excited about this book because a Down’s Syndrome woman plays a big part in the plot. Blackmail, ducks, art and skiing are all involved to make it another exciting mystery. 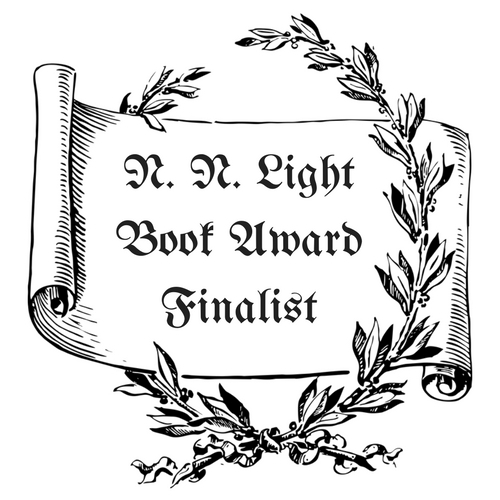 Brown not only has her award winning (Winner of the 2015 Christian Small Publisher Award in General Fiction, nominated for an Epic Award, RWA International Digital Awards finalist in Inspiration, Laurel Award finalist, Selah finalist; Genesis semi-finalist) debut novel, The Redemption of Caralynne Hayman, available for purchase now, but a companion book called West Virginia Scrapbook: From the Life of Caralynne Hayman, filled with tidbits of information about West Virginia. A fun, lighthearted mystery series began with the first book: Hog Insane, introducing Denton and Alex Davies and now her second book in this series, Bat Crazy. Her WWII romantic suspense Spies series began with With Music In Their Hearts, featuring the first of three red-headed sisters, three spies, and three stories. Now, releasing November, 2015, is the first book in a new series: The Appleton, WV Romantic Mysteries, called Sabotaged Christmas. Besides being a member and active participant of many writing groups, Carole Brown enjoys mentoring beginning writers. She loves to weave suspense and tough topics into her books, along with a touch of romance and whimsy, and is always on the lookout for outstanding titles and catchy ideas. She and her husband reside in SE Ohio but have ministered and counseled nationally and internationally. Together, they enjoy their grandsons, traveling, gardening, good food, the simple life, and did she mention their grandsons? BOOKCAMP & WRITING RETREAT, Inc.
Material on this web site is copyrighted. For permission to reuse or repost, please contact me (below). To share a post in its entirety, please use the share buttons. I'm a Windy City Reviewer! Wisconsin Author Review is your site for all things Wisconsin. To showcase Wisconsin authors or books, please contact me using the form provided. I receive books and author review copies from authors and publishers for review purposes.